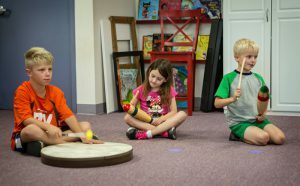 In preschool music, we have been working hard to learn songs that we can sing with the rest of the school during group sing, as well as learning about steady beat, rhythm, and trying classroom instruments. 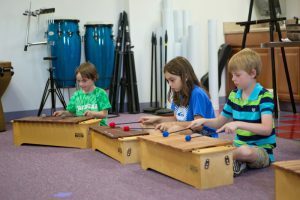 We have learned to perform 3 different rhythm patterns, and are working continuously on playing, singing and moving to the beat. 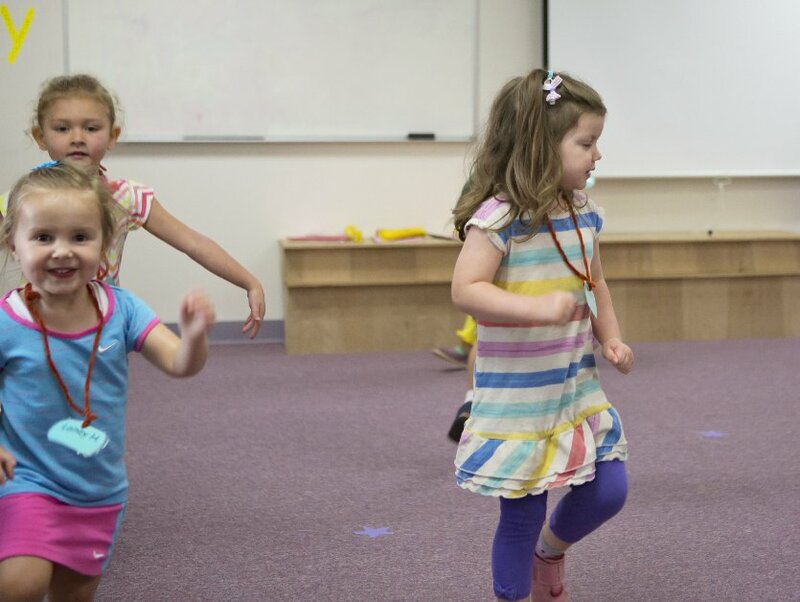 Preschoolers also have fun with our movement songs and listening to works by our composers of the month, so far Ralph Vaughn Williams and John Mackey. 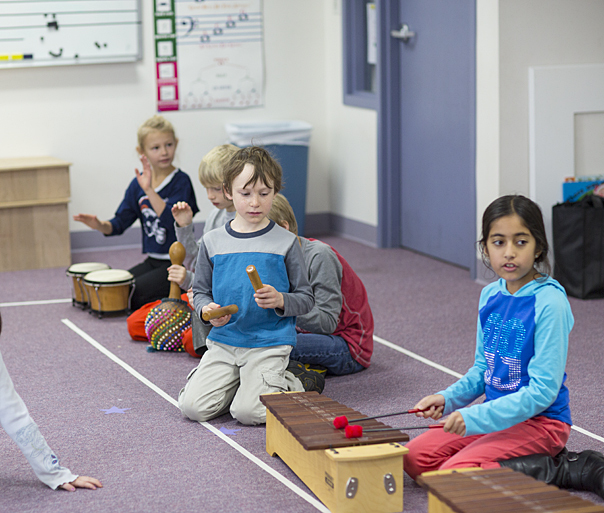 Younger Kids are working on learning partner songs and rounds, keeping a steady beat on an instrument while singing, moving in sets of 8 and 16 and learning the Do scale. Younger Kids also learn all the songs that we sing in our weekly Group Sing on Wednesdays. 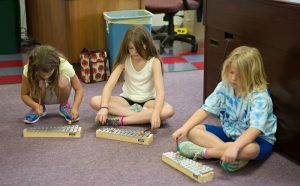 We work on singing and playing together as a group with everyone participating and making sure we are using our best voices. 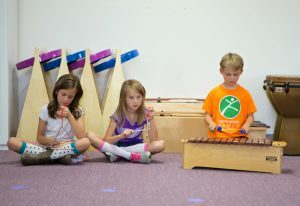 When we play instruments, we are working on resting and playing at the appropriate times and being part of an ensemble. 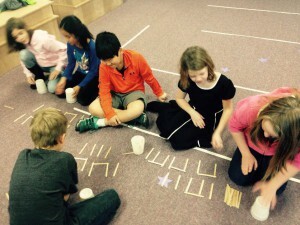 Middle Kids have been working on singing and playing as a group, and participating to the best of their ability. We have worked on poly-rhythmic games, as well as two and three part songs to reinforce our listening and counting skills. 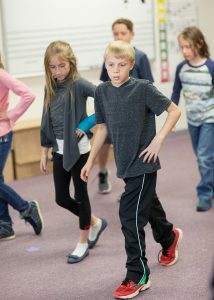 We have just begun to work on learning our songs, lines and choreography for the musical, which we will perform in November. 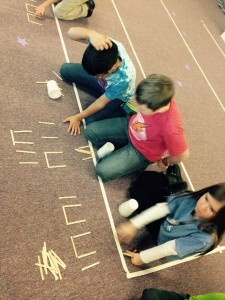 After that, we will have a few weeks of recorder instruction before winter break. The Older Kids are hard at work on their upcoming musical currently, “The 13 Colonies”. We have been studying ocean songs to go with our first topic unit this year. We started the year by reviewing rhythms and note reading, rhythms, playing instruments in an ensemble and singing together. They have done a great job learning the descant part to our school song, which they sing when we are together in Group Sing. 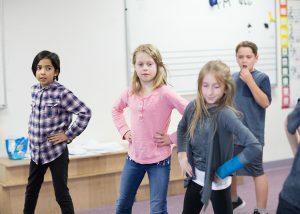 Older Kids Musical Rehearsals are in full swing! 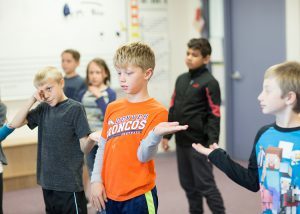 The Older Kids are working so hard to learn the lines, songs and choreography for their musical “The Properties of Matter”, which will be presented to the school on November 8th, and to parents and friends November 10th. Here are a couple of photos from our rehearsals. 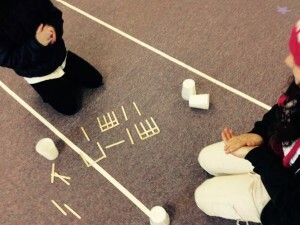 We have been learning a little about what makes a song a “ballad” this month. Students have learned to recognize a 4-3-4-3 syllable stress pattern in the words and also to look for songs that “tell a story” to identify ballads that we know and new ballads that we’re learning. Our Composer of the Month for September is Bach, and we have been listening to his “Little Fugue in G Minor” to learn about fugues, organs and what is a melody. 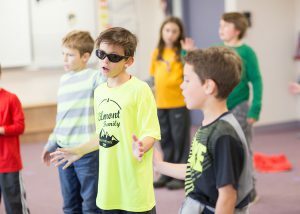 We have been reviewing many of our favorite Rivendell songs since the beginning of the school year, as well as learning several new songs as well. The Older Kids started learning their musical this week, which is the story of a “reality show” based on the founding fathers! Middle Kids have been working on two new pieces with percussion and Orff instruments (see photos). They will be starting recorders in the next few weeks, and boy are they excited about it! Younger Kids have also been reviewing rhythms and learning new “partner songs”, which are two different songs that sound great when sung together at the same time, but it’s pretty tricky to only sing your part and not get confused by the other part. 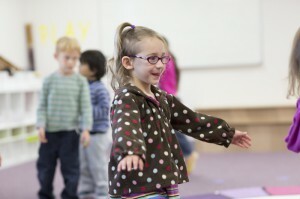 Preschoolers have been learning all our favorites, including the Rivendell school song “Where We Learn, Where We Grow”. All the grade levels have been listening to and discussing “William Tell Overture” and “La Gaza Ladra” by our composer of the month, Gioachino Rossini. They should be able to relate the story of William Tell pretty accurately by now! 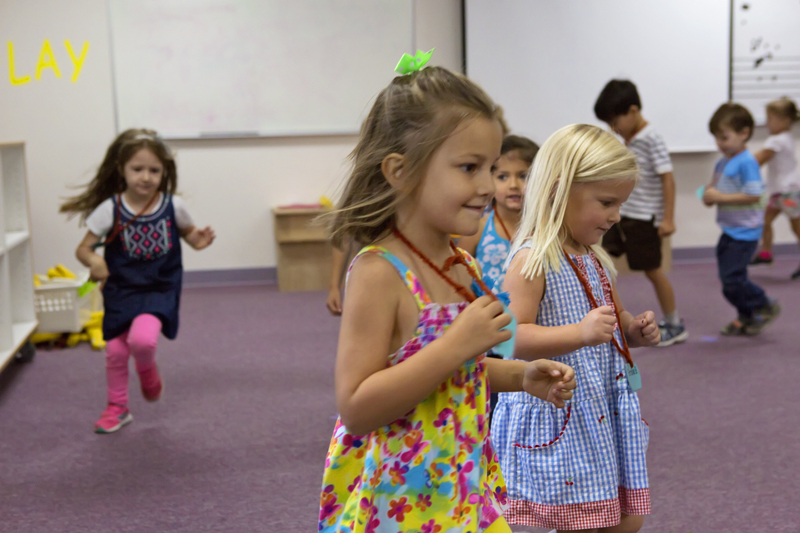 We have a favorite game in the Preschool classroom called “Fairies and Giants” and this past week the Younger Kids classes wanted to try it out as well. It’s a dramatic play game using a piece by composer Edward Elgar called “The Wand of Youth, Suite No.1” the 7th movement is “Fairies and Giants”. (In class, I use a version on Spotify performed by the Academy of St. Martin in the Fields) Basically, children decide if they want to be a fairy or a giant and the music tells us when it’s our turn to take the stage. If you’d like to play it at home, you’ll need at least 2 people and your Preschooler or Younger Kid can explain it more in depth, I’m sure! Here are some pictures of us enjoying the game. Older Kids had a great time reviewing note values and creating their own rhythms to perform in sequence with the group. 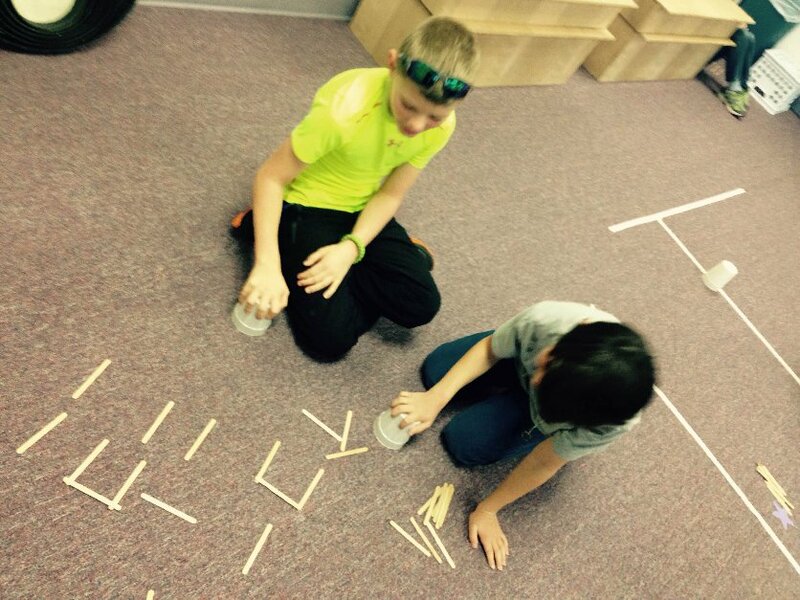 They came up with some great ideas! 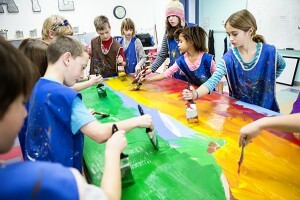 Jessica’s class did a great job painting the backdrop for our upcoming musical in Art class today! The kids are practicing their lines and songs every day and we’re excited to be performing in just a couple of weeks! See you there Friday the 30th at Noon! 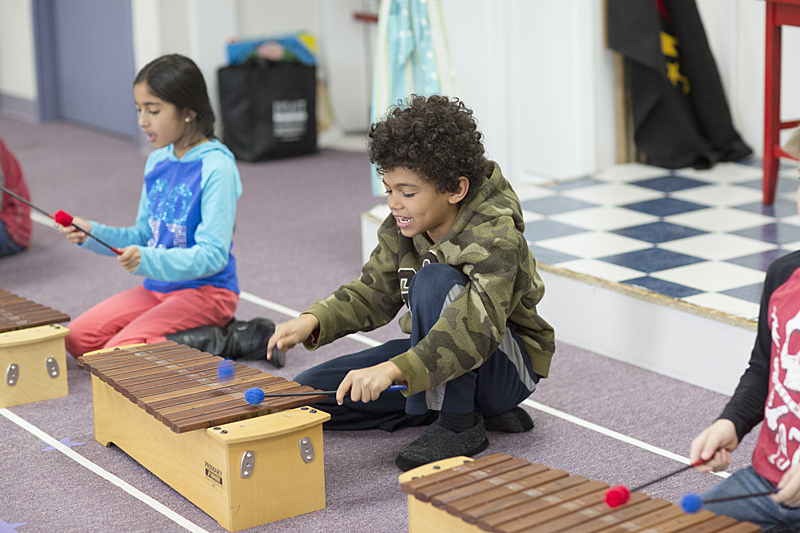 We had a busy November in Music, with the Middle Kids musical and starting practices for the Older Kids musical as well (performance in late January). Right now the whole school is working on Best Day of My Life by American Authors, which we will perform at the Barnes and Noble Book Fair on December 12th at 6:00 p.m., in a flash mob! All the students are very excited, so hopefully you can all make it. I just have one photo to share, of preschool class during our musical movement time. This continues to be their favorite part of class time. 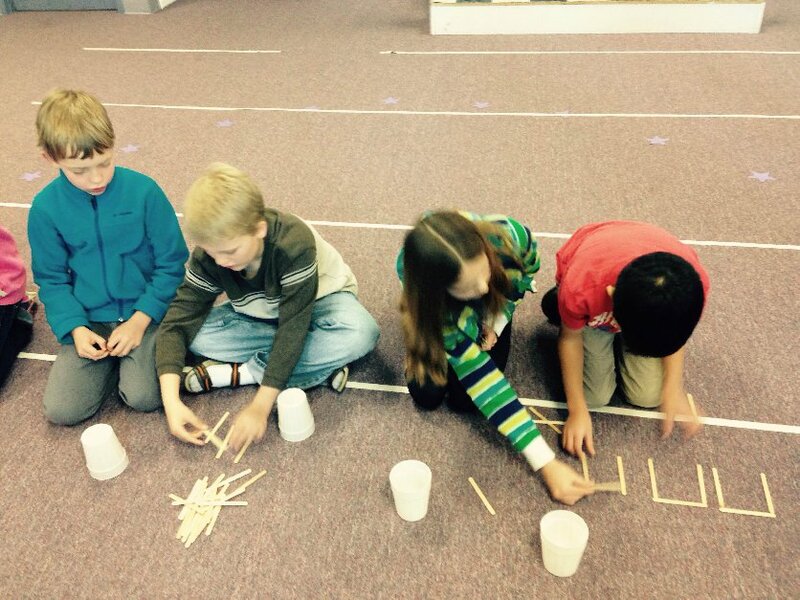 In Music, we’ve been working on “partner songs” which are two song that can be sung together at the same time. All the grade levels have learned Hey Ho Nobody Home with Ah Poor Bird and Land of the Silver Birch and Canoe Song. We have also been listening to Saint-Saens’ Danse Macabre. The Middle Kids and Older Kids read the poem, by Henri Cazalis, that was the inspiration for this piece and the Younger Kids and Preschoolers listened while doing a movement activity.